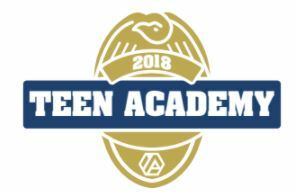 The Teen Academy is June 3 -7, 2019. Hey teens! Do you have an interest in Law Enforcement as a possible career choice? Have you ever wondered how officers process a crime scene? Or what it's like to search a building? Join us for the Teen Police Academy! Designed for high school students, this five-day academy will give you an interactive look at police work. You will also get to test your driving ability in a patrol car and process a mock crime scene. All classes are taught by Arvada police officers. 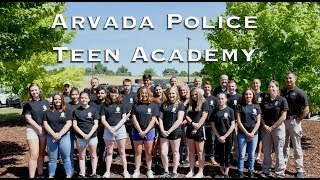 The five-day academy will be held at locations throughout Arvada. Classes begin at 8 a.m. ending around 4 p.m. Please get permission from your parent or guardian before applying. You need their consent to fill out the online application and have your application processed. Download, print, and sign the Application Signature Page (PDF) (Consent Form). Your parent or guardian needs to sign it, too. You and your parent or guardian must sign the application signature page (consent form). Follow the direction provided on the form. You can mail your application into the address provided. If you have any questions, please contact Debbie Medina at the Arvada Police Department. Applications will be processed in the order in which they are received. Students attending any of the Arvada high schools (Arvada, Arvada West, Pomona, Ralston Valley, Faith Christian) will receive priority over non-Arvada residents. All interested students will be contacted prior to the Academy. Attendance of all five days is a requirement for successful graduation. Each participant will receive a Teen Academy T-shirt, graduation certificate and reference materials.